Grand Shamaya, is a high-specification, group of luxury apartment towers located in the city centre district of Surabaya, Indonesia. 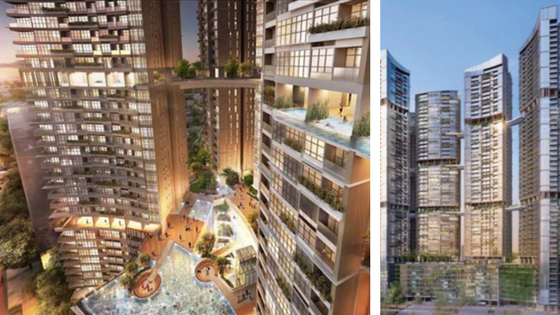 The project masterplan comprises 5 residential towers, ranging between 50 and 53 storeys, which hare a common 8-storey podium and 2 levels of basement. The towers are also linked by a series of sky-bridge structures at levels 21, 34 and 42 and the development CFA has a total of 250,000 sqm. The project is currently planned to be executed in two phases, Phase 1 includes towers 1 to 3, with parts of the podium and basement structures accommodating the footprints of the 3 towers. Phase 1 planned CFA is approximately 149,000 sqm., and occupies the eastern half of the site. Towers 4 and 5, together with the remainder of the podium and basement structures are on the western half of the site. These will be constructed later in Phase 2. Client : PT. PP Properti, Tbk.